Each year we publish a list of analytics startups in India that are making all the right noises and showcases the most potential among newcomers. Below is the list for this year. Founded in Singapore in 2012 and with a development centre in Chennai, Crayon’s vision is to create a big data platform that can process large volumes of data from within the enterprise and from external sources including social media. This data is cleaned up and various algorithms are run on it to serve different verticals. It was founded by 3 people– Suresh Shankar, Srikant Sastri and & former Wipro executive I Vijay Kumar. Since its inception, Crayon Data raised 2 rounds of Angel funding. Flutura was co-founded by Krishnan Raman, Srikanth Muralidhara and Derick Jose, in February 2012. Flutura places themselves at “the cusp of M2M and big data”, M2M standing for machine-to-machine. The flutura team has over a decade been strategic advisors to several Fortune 500 organizations worldwide and been part of several transformational Information, Analytics and Process Innovation programs. California based technology magazine CIO Review has recognized Flutura as one of the Top 20 Most Promising Big Data Companies Globally. Flutura has also been recognized by TechSparks2013 as one of the Top 3 startups out of India. Axtria is an ISO 27001 certified advanced analytics and business information management company based out of New Jersey with locations in California, Arizona, Georgia, Virginia, and Gurgaon, India. Axtria builds sales, marketing, and customer management data analytics tools. The tools help companies analyze their current customers to find out how to get more and how to keep the ones they have. Flytxt is a leading provider of Big Data Analytics powered solutions with a focus on enabling mobile operators to derive measurable economic value from subscriber data. 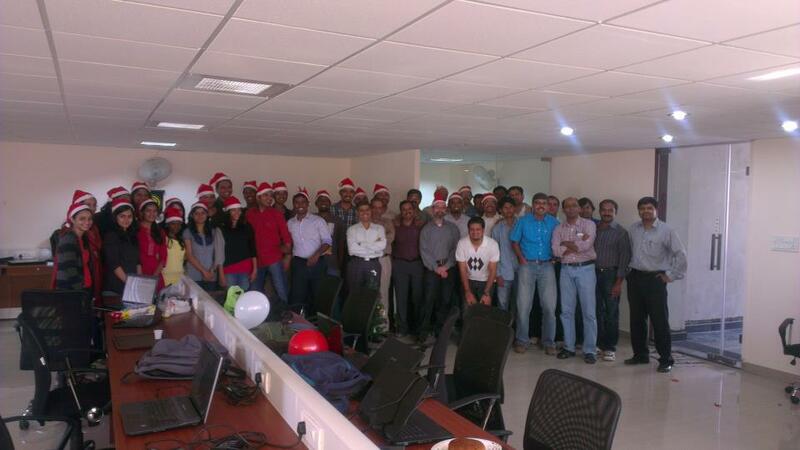 Founded in 2008, the company is headed by Vinod Vasudevan. Flytxt has won many industry awards and recognitions like Gartner Cool Vendor, NASSCOM Emerge 50 League of 10, Aegis Graham Bell award for innovation in Mobile Advertising, BID International Quality Award, Red Herring Asia 100 and IEEE Cloud Computing Challenge. With its corporate office in Netherlands and global development centre at Trivandrum, the Company has presence in Delhi, Mumbai, Dhaka, Lagos, Nairobi and Dubai. Sapience Analytics, founded by four serial entrepreneurs, has built a patent-pending software product (Sapience) that gets Enterprise Effort and Time Productivity – effortlessly. The company, which had raised funds from a clutch of CEOs through the India Angel Network, sells its tech on an annual subscription model as also on an on-premise one-time sale model. Sapience delivers 20+% increase in work output for companies whose employee uses computers to perform their job. This is achieved without requiring any change in process or additional management overhead, thereby driving a transformation in delivery capability, revenue and profitability. Last year have been great for the company while bagging some of the very prestigious awards in the Industry – the Best Emerging SME award by Dun & Bradstreet, NASSCOM ‘League of Top 10 Emerge Award’ and ET’s 14 companies to watch out for 2014. 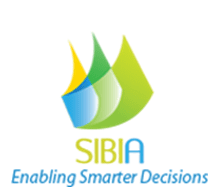 SIBIA is a technology integrated predictive analytics company based in Kolkata. It focuses on marketing and sales optimization for retail and consumer products brands. The company has been established in early 2013 by industry professionals with long experience in predictive analytics and related technologies. In the short span of time, it has created focused solutions targeted to Indian market which takes into account all the dynamics and nuances of Indian market. It has also adopted emerging technologies such as big data methods or social media application development. SIBIA is a recipient of TieGer Award (Kolkata Chapter) as the best emerging company. 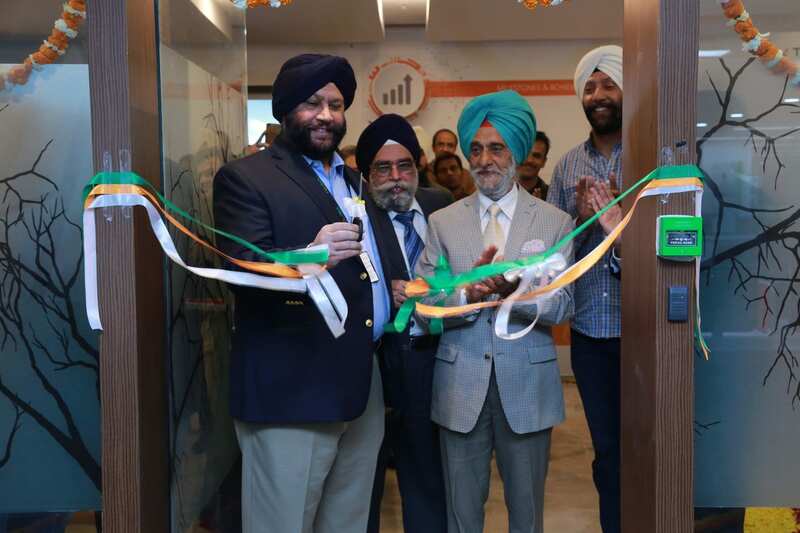 Ideal Analytics is an Indo-French Technology Joint Venture Company that has its Corporate HQ and Office in Kolkata, India and the European Office in Paris, France. It gives business users an intuitive interface for exploring their data and taking fact based business decisions. It is available both on the cloud and in the on-premises avatar and is capable of connecting to data coming from multiple heterogeneous sources. It is an emerging product in the analytics market with over 1500+ customers on the cloud, 20+ Enterprise Customers across the globe (VMware, BlackBerry, Allianz, Adobe, etc.) and 10+ OEM partnerships with products from varied industries. FORMCEPT provides a highly scalable content mining infrastructure through proven open source technologies that includes Hadoop, HBase and Solr. FORMCEPT’s C3 (Classify, Compare, Correlate) Semantic Engine is a state of the art technology which provides classification, comparison and correlation for any type of content. FORMCEPT’s C3 semantic engine can be extended to areas like Competitive Analysis, Financial Analysis, Profile Analysis, Trend Analysis, Sentiment Analysis, etc. Founded by Suresh Srinivasan and Anuj Kumar, Formcept has been a part of TiE50 Finalists of 2013. IQR Consulting Data Analytics (www.iqrconsulting.com) provides strategic solutions to difficult business problems in a variety of industries, including Banking, Casino, Media, Finance and others. With accurate and actionable research and analytics we help our clients become analytically mature companies. Stat Decision Labs is a provider for Integrated Data Mining & Mobility solutions that helps organizations anticipate business opportunities, empower action and drive impact. With a strong extensibility framework for predictive analytics and mobility solutions, Stat Decision Labs provides a very powerful Decision Management platform. Organizations are choosing our platform to improve and accelerate their decision making process and thus increasing their profits and market share. Hi, I am into sales and marketing of life science/healthcare products with 7.5 years of experience. Looking to get into consulting firm with life science domain. Kindly suggest or refer to the right companies. Thanks. I am working as a sales data analytics in a MNC in Bangalore and have got 6 years of exp in this field. I wish to pursue my career in analytics completely and currently looking for a change, kindly suggest the opportunities in the filed. Hi, I have hands-on experience on Using R programming Language. Any job oppurtunities for me, Please suggest. I worked as a analyst in ISMS, i want to get pure statistical job, please suggesst a job for. i have done post graduate in Statistics. Please reach out to sasikumar.chandru@indexfing.com. I am having 2year of exp in sales but i want to go for analytic fileld.can any one sujst me.. I am currently working in sales team and looking for guidence to enter into analytics. Is there anyone to guide me in this please?.I am longing for a career. I am in total transformation from sales role to data analytics role.! I need training + job in SAS, R, Hadoop, & Big Data. I am based in Pune. Please suggest the best option ASAP. 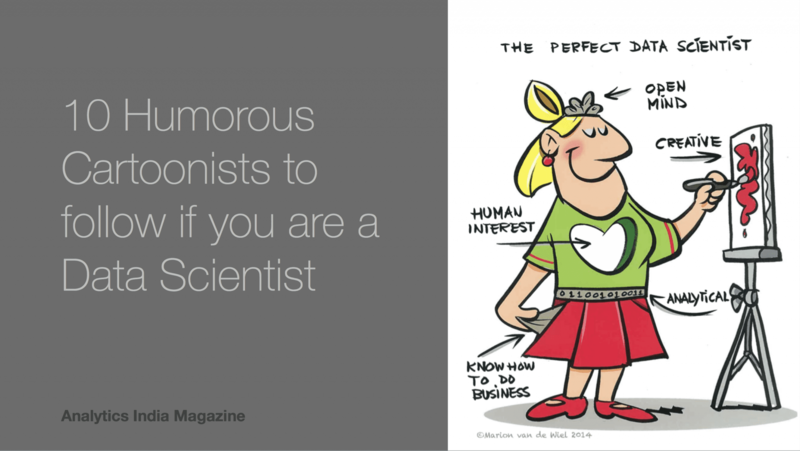 I am also a sales professional.Did you get any idea or guidance to transform from sales to analytics? HI Gopi, I am still searching for guidance and training. But, I am focused for R program and SAS, for which I am taking personal maths classes (XI,XII, FY, SY, TY BSC) I am giving 4 months to learn basic maths, before I get in to software. I am based in Pune and still searching for Job/OJT. Ok Nehal All the Best.Thank you for the response. I am a recently graduate engineer, willing to work for a analytics firm, could please help me from where to start and also how to enhance my skills in data analytics. Hi, You can call Bhadri at 8123024682 for training and Internship opportunities.